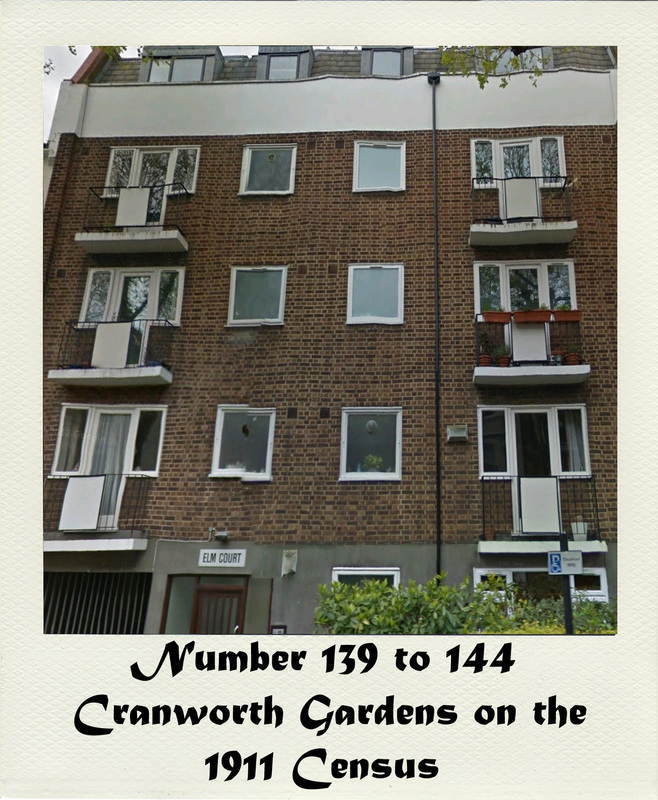 The above image shows Elm Court, built on the site of what was once one of the 26 blocks of 6 flats that make up Cranworth Gardens. From looking at the bomb census maps it appears that the original block was destroyed by a bomb in WW2 however I do not have a detailed record of this incident (I have many other records of local bomb incidents including hits on Cranworth Gardens over on the Bombing & War section) It is the original building whose occupants are documented below. The occupants of flat 140 were missing from the Census. The occupants of flat 142 were missing from the Census. The occupants of flat 143 were missing from the Census.